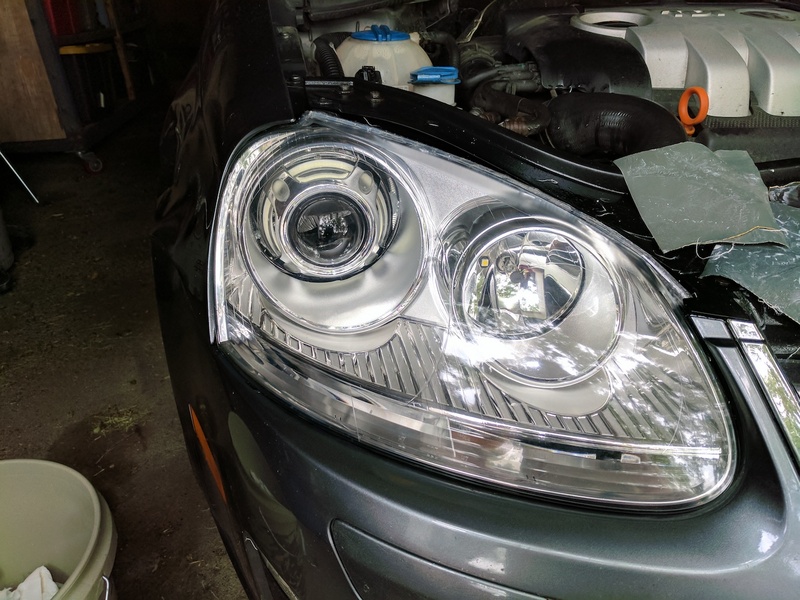 Factory headlights on cars are usually decent, but have definitely improved in recent years. My 2006 VW Jetta had the stock halogen headlights, and while fairly good, left a little something to be desired. 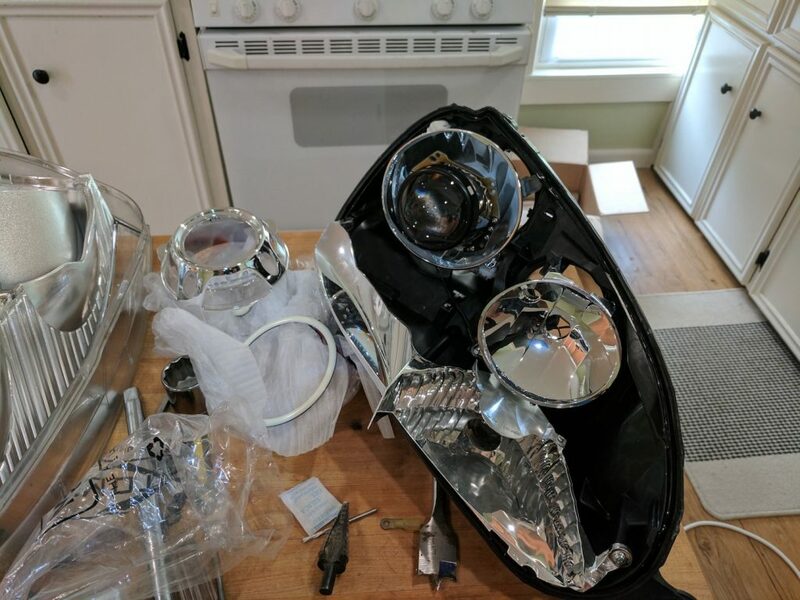 I’ve purchased various products from The Retrofit Source in the past and have been happy with their quality, so I figured I’d use them again. 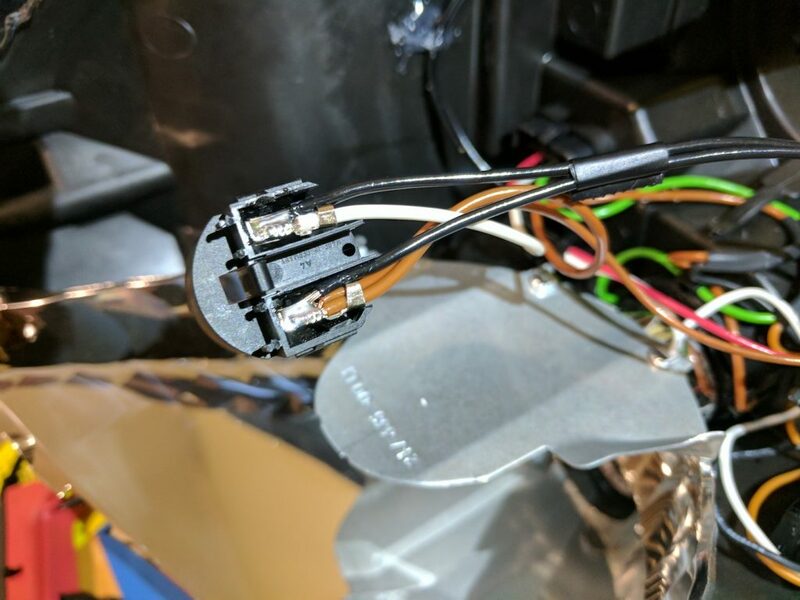 Previously I had purchased housings with projectors in them already, but this was the first time that I did a full retrofit. 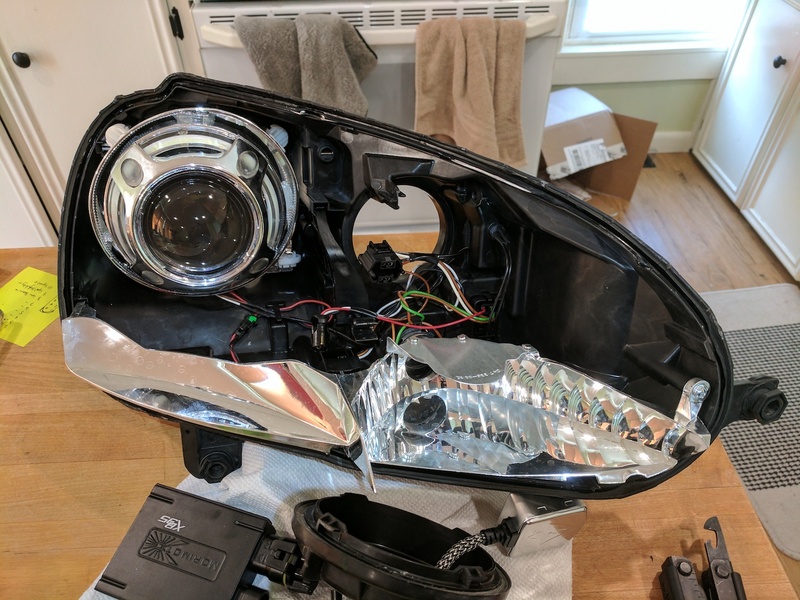 I measured the headlight housings to get a rough idea of what would fit inside them and ordered a Morimoto Mini D2S Stage III kit. 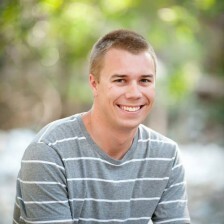 I selected their 35w, 4500K bulbs based on previous experience and my color preferences. 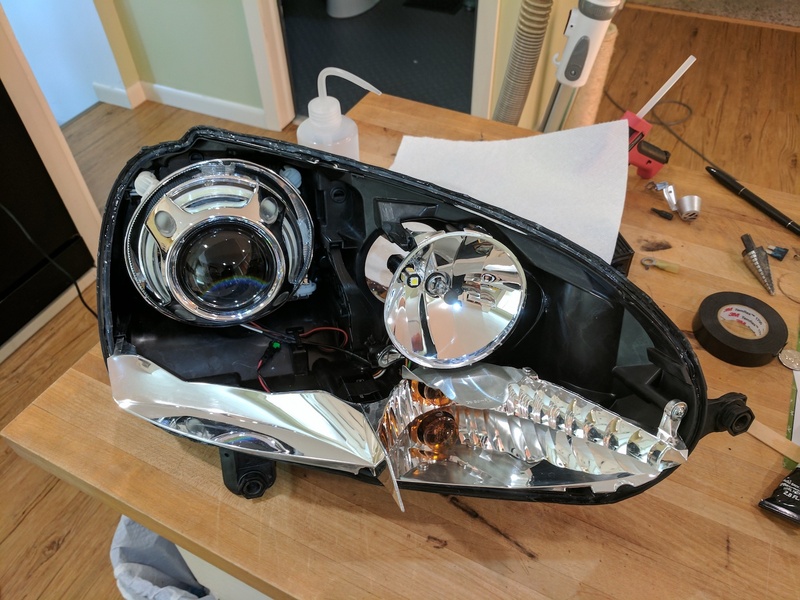 I also selected 110mm XSB LED halos to go inside the projector shrouds and a CANBUS wiring kit to simplify connecting the ballasts. The weekend after my kit arrived, I started with the passenger side. 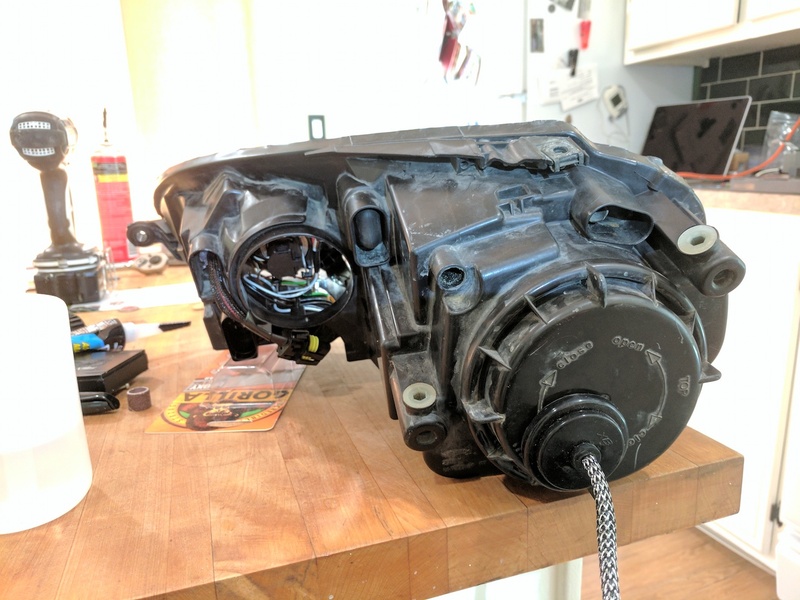 The housing was fairly clouded, so I was less concerned with damaging it while learning how to open it up. 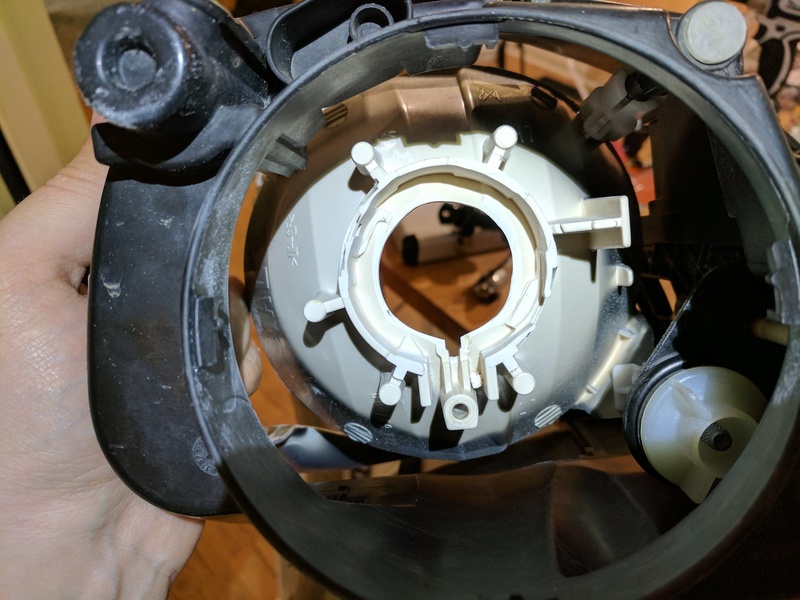 The basic process for opening the housing is to remove all the bulbs and any staples holding it together, then heat it up in the oven at 250ºF for a few minutes to soften the adhesive. Once warm, the seal can be pried apart by starting in one spot and slowly working around. This was by far the most challenging part of the project, especially doing it by myself. The most important thing is to take it slow and re-heat as necessary to keep things going smoothly. 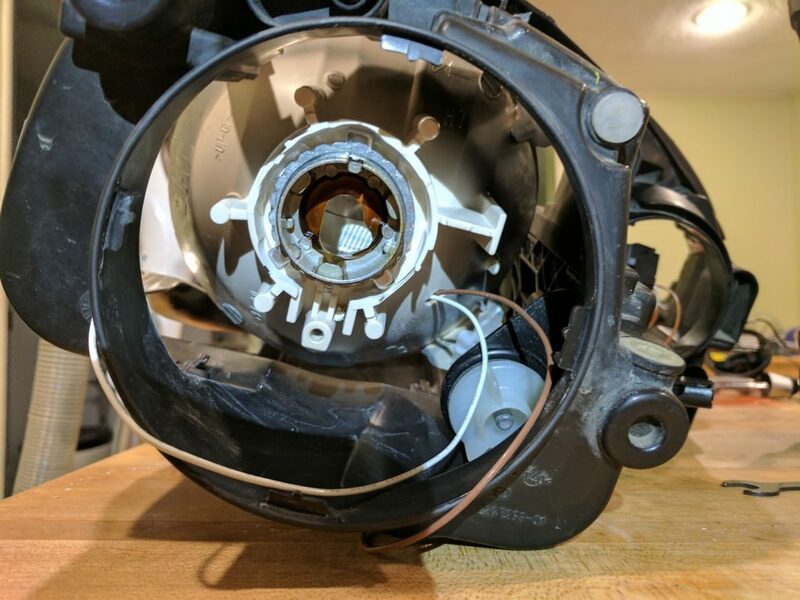 Once the housing is open, the hole in the back of the headlight reflector can be widened a bit to allow the back of projector to fit through. I did this easily with a Dremel, but other tools may work fine too. 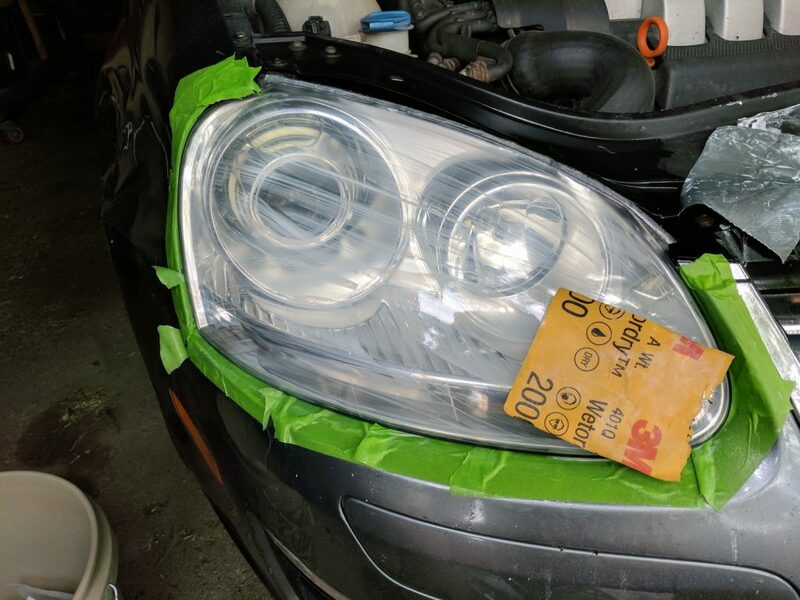 Ideally the reflector will be symmetrical enough that just widening the hole will allow the projector to point in the same direction as the original headlight. With the projector in place, you want to get it as close to horizontal as possible. 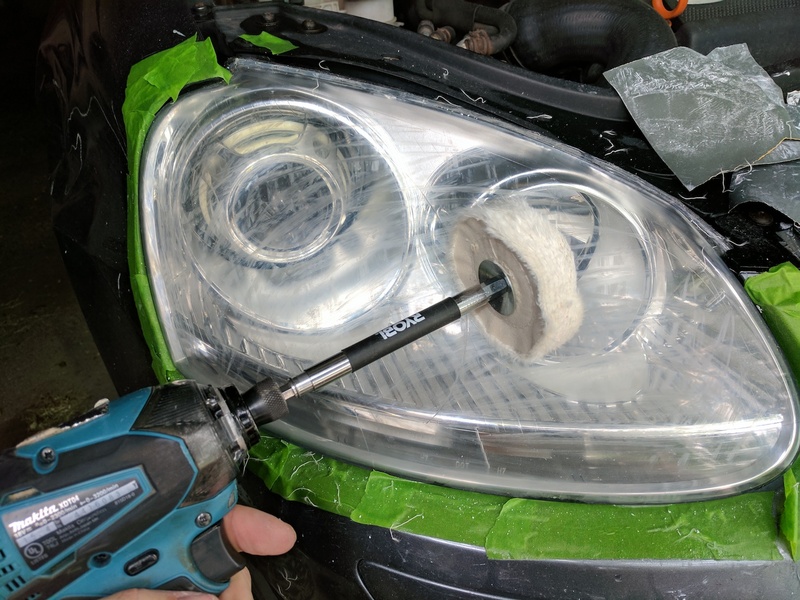 Ideally this would be done by mounting it in a jig and lighting it up, but you can also eyeball it as close as you can and do any fine tuning once it’s back in the car. 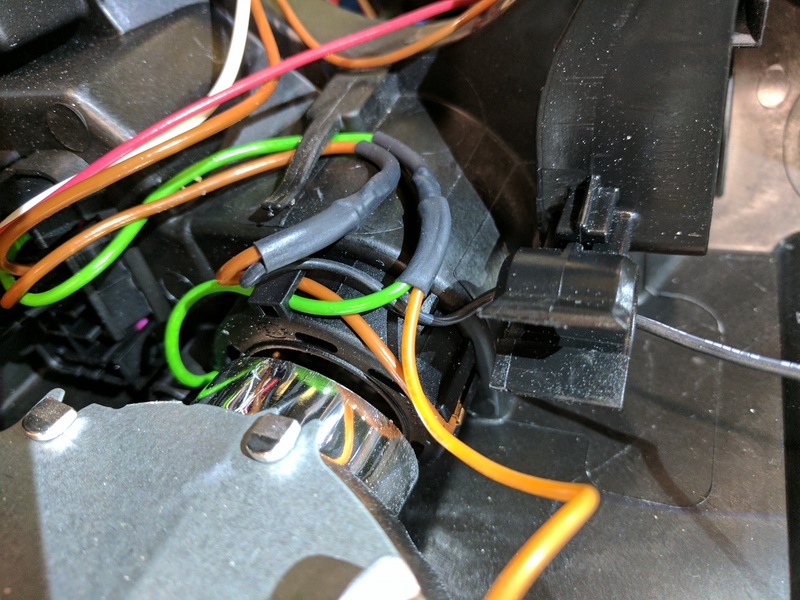 After getting the projector in place, I did some more Dremel work to fit the shroud and wired up the LED halo. Re-assembly was fairly straightforward. The most important thing is to test fit everything before gluing it back together. 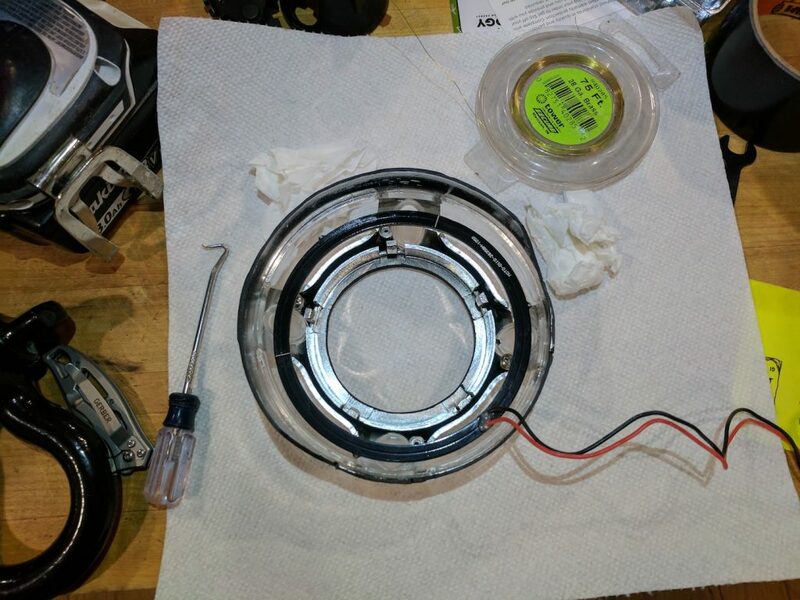 I used RTV silicone to re-seal the housing, but there may be easier ways depending on how your headlight came apart. On mine, the original adhesive was still very firmly attached to the back of the housing. This didn’t leave me enough room to use something like butyl tape. 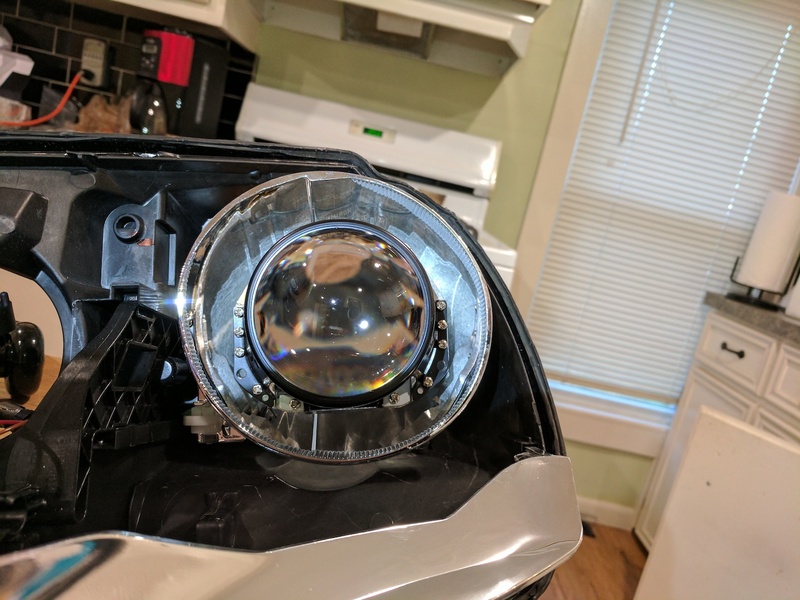 I let the housing cure for about a day and then reinstalled the headlight. 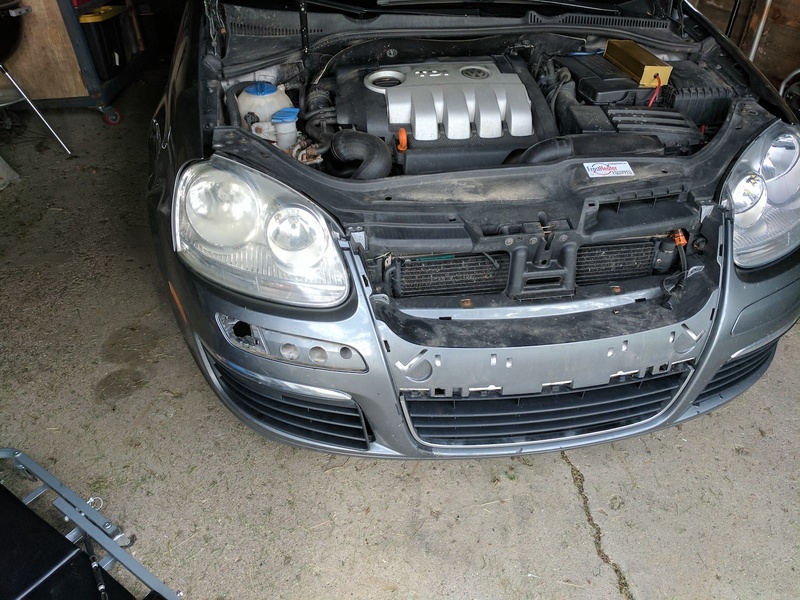 I lit it up to test everything and do a quick alignment. The following weekend, I did the same to the driver side. Fortunately, it was much quicker the second time around, and I had time to sand, polish, and seal the cloudy passenger side. 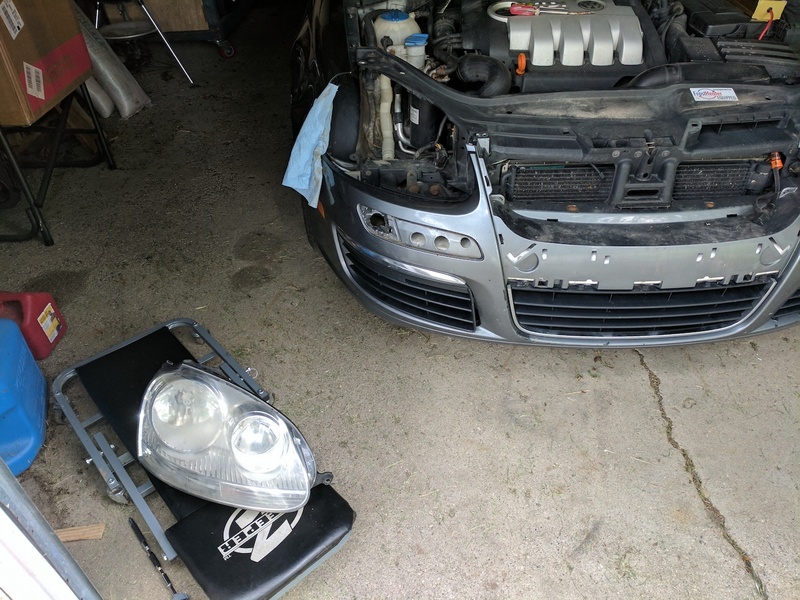 With both retrofitted headlights in place, I did a more thorough alignment. In all, this was a lot of work, but I’m quite happy with how it came out.